Payday loan store front with a blue sky. Suffering from debt? Got too many bills to pay but your salary is still a week off? Applying for a regular loan is too much of a hassle. Even if you do get approved, it could take a while before you get the cash. It could be three days or three weeks. This is why payday loans lenders rose in popularity. They offer a quick and secure means of getting money to pay debt before your money comes in. 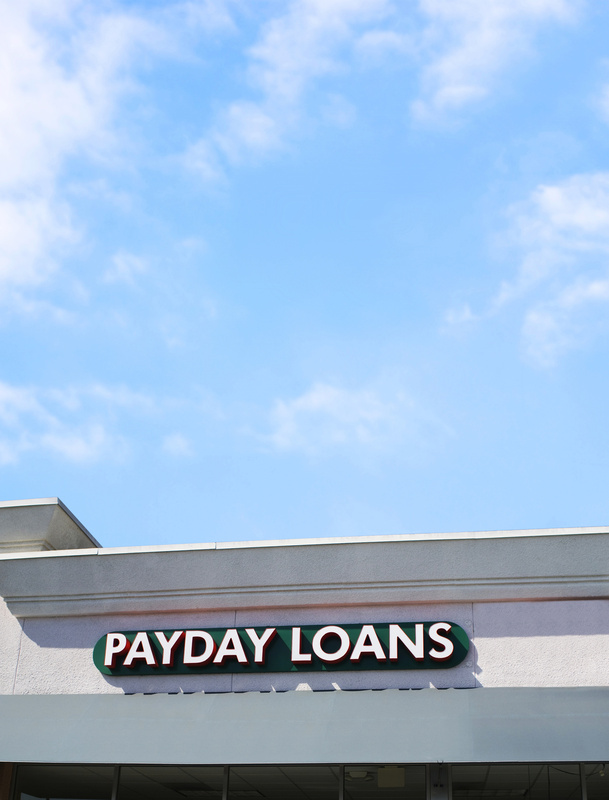 But which online payday loan lenders should you turn to? Are they any different? If you need money in a fast and timely manner, this type of loan is a dream come true. The arrival of online payday lenders makes it easier for you to apply for it within short periods of time. After all, it’s possible for you to get the money you need to loan within an hour. When trying this loan type, all you need to do is to fill up a form online. Make sure that all the details you submit are accurate to make the process faster. Once your lender verifies the correctness of your information, they send money to your bank account. The caveat is that most of these lenders need collateral. Most lenders prefer a postdated check, but some of them don’t. But like other instant loans, you’re expected to pay it within 2 weeks. This type of loan is great if you need money in desperate situations. It’s not recommended for you to do on a regular basis since it will drain your savings faster. It’s fast since it gets approved as soon as you file for an application. The lenders will contact you through phone and email for your income information. You can complete this entire process within a day. Some lenders will even wire it to your bank for an additional fee. You can use the money on the same day, meaning your emergency will get the solution it needs. The drawback is that it can become expensive due to the wiring fee. Some banks might charge extra for these kinds of transactions. As its name implies, online payday loan lenders let you fill out an online form instead of physical papers. Most lenders in the country will only give around 2 weeks’ worth of borrowing period. The borrowing amount can range depending on the lender and your income. The average premium for these loans is at 20%. It’s the most common type of short-term loans available to people. Most people believe that it might replace the traditional payday application within a few years’ time. While a lot of transactions happen online, lenders will need you to give a proof of employment. With this, you need to fax your past payroll documents to qualify a direct online cash loan. You can get a good read about no credit check payday lenders here. This type of loan is almost the same as normal online payday loans. The only minor difference is that you don’t need to fax in documents to prove employment. Your lender contacts you instead and verifies it through online databases. It’s more convenient since its requirements are easier compared to other loan types. Most lenders only need you to be at the legal age of consent. They also require you to have a certain amount of income for them to approve your application. The drawback is that this type of loan only lets you borrow lower amounts of money. Otherwise, the premiums and borrowing period is the same as others. Its process time might be longer since it might take them a while to verify your information. Do you have a low credit score? If so, you can use bad credit loans if your credit history is spotty, to say the least. That means you don’t need to suffer from any credit checks that might further harm your credit history. All you need to get this loan is a valid checking account and proof of employment. But the main drawback for this type of loan is the higher premium rates. These types of loans can reach as much as 28% of the principal amount. The main reason for the higher rates is the higher risk of borrowers defaulting. But on the positive side, these are quicker than other traditional loan types. After all, it excludes the credit checking process. Most lenders give a 2-week term period for these loans. But some lenders are willing to extend it to a maximum of a month. Seek these out if you need to make this loan type. This type of loan is great since it doesn’t have the high fees often associated with other payday loans. Your premium rates can be as low as 8%. But the main issue with this loan type is the extensive background checks. There’s also the possibility of getting denied. Once you get an approval, the money deposit also takes time, ranging from 1-5 days. The borrowing period is the same, but lenders don’t usually allow for refinancing. Get Payday Loans Lenders Today! There are more types of loans out there. You can use them in specific financial situations to maximize the money you’re borrowing. If you don’t get the right payday loans lenders, you might get a bad deal. Once you figure out the right type of loan, you can now research the best lenders around. This helps ensure that you avoid unscrupulous individuals looking to scam you. Don’t hesitate to ask people around you for opinions to get a better idea of what to expect. Don’t stop here! If you need more financial advice, we’ve got you covered. If you’re looking to buy a second home, for example, we’ve got a great guide here for you.